Another year has gone by — How did you do? Were you healthy, keeping fit, and eating well? Not so much? You’re probably resolving that 2017 will be a better, healthier year for you. You probably already have some goals in mind, from something basic like losing a few pounds, to something ambitious like running that half-marathon. You’ve made New Year’s fitness resolutions in the past, but that hasn’t really worked out for you before. So what do you do? A big commitment with a personal trainer or a new gym membership can be expensive (especially if life happens and you don’t show up). Google Fit is a great app to start with to tackle your fitness goals. Using the accelerometer in your smartphone, Google Fit tracks whether you walk, run, or cycle. Set goals like “Take 15,000 steps” or “Run 5 miles a week”, and the app will record the number of steps, rate of speed, and your distance traveled as you reach for your goals. 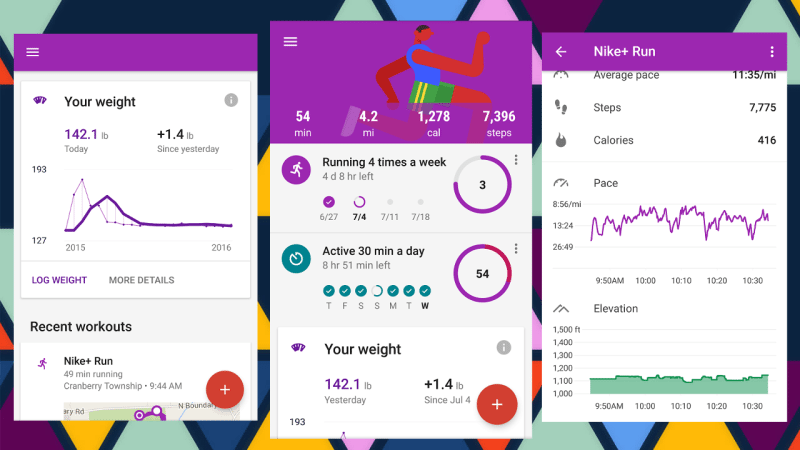 The beauty of Google Fit is that it is open to other developers to create 3rd party applications and fitness wear. Currently, Google fit is compatible with many popular options to help you achieve fitness success, such as Android Wear, Nike+, and MyFitnessPal (see below). Best of all, with Google Fit, you can log and check your progress anywhere you can log into your Google account. It’s the app that was awarded Best of 2016 App, and Best Self-Improvement App selected by Google Play. This fitness app is especially made for those that don’t have time to go to the gym — all exercises in this app can be performed at home. The 30 Day Fit Challenge app is perfect for beginners, as it encourages you to make working out a habit by giving you a daily notification and a set of exercises to complete. Keep up with the daily challenge, and your body will come to love exercising, and you will love that the app helps you burn fat, build strong muscles, and stay in shape. You can pick from beginner to the more advanced 30-day programs, filled with exercises each with detailed instructions and a video guide to help you perform them correctly. You can also choose a program that focuses on your abs, arms, legs, or a full-body workout. 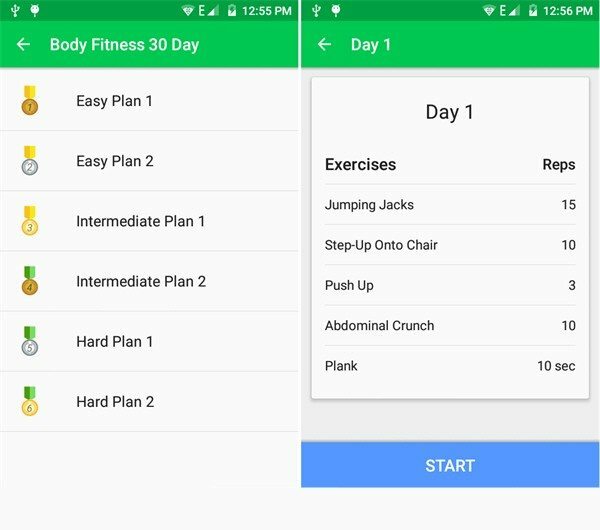 With this app, you won’t have to take the huge step of getting a gym membership in order to start getting fit. This one’s especially for those of you that are not particularly keen on running and weight-lifting. Yoga is another great way you can achieve your fitness goals AND relieve stress. Never tried yoga? Give this app a shot — Over 5 million people have downloaded this app! Yoga experts have contributed to provide over 100+ yoga and meditation exercises and 500+ yoga poses, accompanied with instructional videos and soothing music. Goals that can be achieved through Daily Yoga include weight loss, increase in flexibility and strength, improved balance and posture, and relaxation through meditation. With programs like “Super Weight Loss Plan”, “Yoga for Great Legs”, and “Office Yoga”, you’ll be able to reach for your fitness goals any time and place! This app will help you eat healthier! 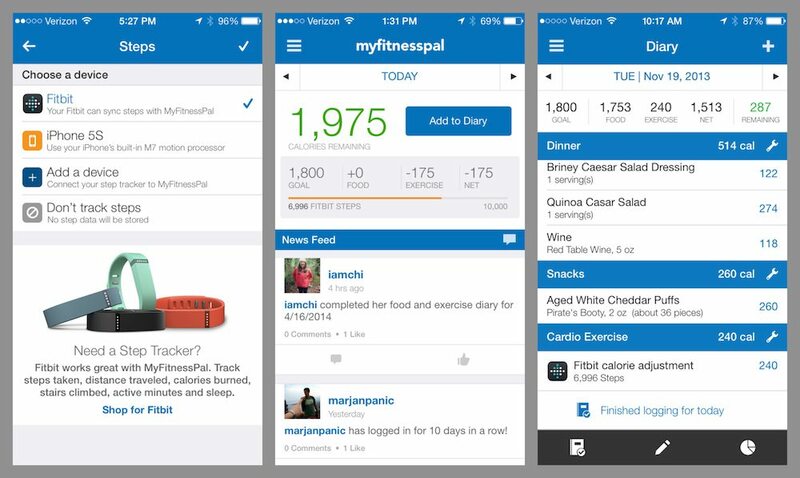 MyFitnessPal is an intuitive food journal and calorie counter, with a database of over 5 million foods and their nutritional information. This app excels at making it easy for you to add and track your meals so you can see your calorie intake. 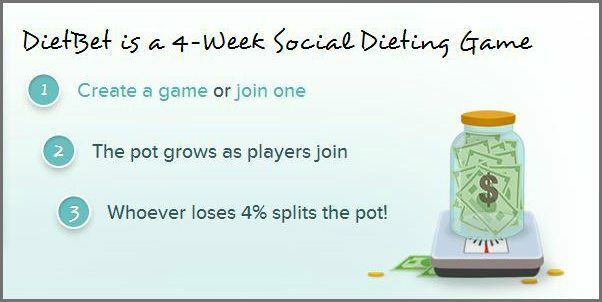 At first, you might not like the sight of the nutritional content of the food you’re eating now, but with MyFitnessPal, you’ll be more conscious of your eating decisions, as you’ll realize that it’s easier to say “no” to a chocolate donut than it is jog on a treadmill for 30 minutes to burn that donut’s calories. You can also sync up with fitness devices from Fitbit, Garmin, and Jawbone UP. No matter your fitness goals for 2017, there are a variety of popular apps and developers that can help. Since you already own a smartphone, a better body and a healthier you is right at your fingertips. What is your favorite fitness app/device? What has worked for you, personally?